Meena is a comedy writer/director from South Texas—that means she’s one of the few Indian people who can tell you where to get a good taco. She is a Radio-Television-Film graduate of the University of Texas and a recent graduate of USC’s M.F.A Production program. She is a recipient of the James Bridges Directing Scholarship and the Jack Oakie Scholarship in Honor of Lisa Kudrow. 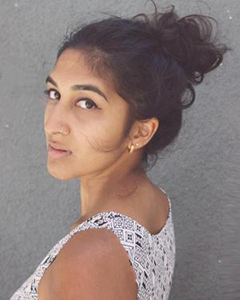 Meena looks forward to making a career out of making people laugh, telling culturally relevant stories, and eating too much ice cream. Natalie is half-British and half-American writer/director. She was awarded the Frank Volpe Scholarship to study her MFA in Screenwriting at the University of Southern California. 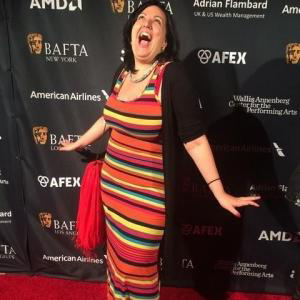 Her work has been nominated for a National BBC Award, recognized at the Austin Film Festival and Scriptapalooza, and is a member of the highly competitive BAFTA LA Emerging Talent program, acting as a panelist for the BAFTA Student Film Awards 2015. She was a writer and Creative Producer on season one of The Fob and I, a cross-cultural comedy funded by New Form Digital, and directed her film The Broken Camera starring Emmy-nominated Camila Banus (Days of Our Lives) after the screenplay was awarded funding as a Stark Special Project 2015. 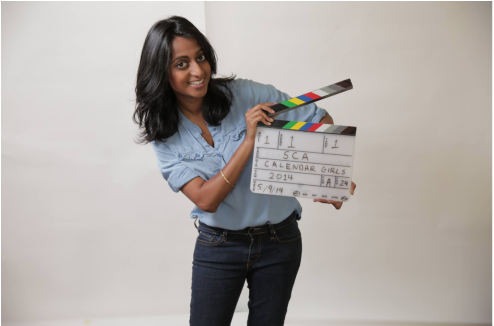 Noopur has spent the last decade producing television shows, short films and digital content in the two biggest film industries in the world – Hollywood and Bollywood! 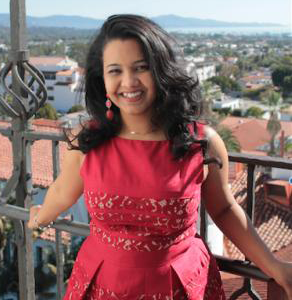 She’s been an Executive Producer with Zee TV, an independent writer/producer of short films in New York, and graduated from the prestigious Peter Stark Producing Program at USC. Projects include The Broken Camera, The Fob and I and So Happy for You starring Emmy-winning comedienne Christine Nangle and the family drama Mr. Goode starring Oscar-nominated actress Sally Kirkland. Shefali Deshay is a Los Angeles-based actress and singer-songwriter. She attended USC for Political Science and Musical Theatre. Shefali most recently played Patty Simcox in the USC School of Dramatic Arts' production of Grease. She has had the privilege of musical theatre training with phenomenal mentors, such as John Rubinstein, Parmer Fuller, Dan Fishbach, Vicki Lewis, and Jeff Maynard. Her screen work includes The Fob and I and Happy Birthday, a dramatic short directed by Nimisha Patil. Shefali works with TS2 Publishing as a songwriter and music artist. She has had vocal training with Benita Hopkins and Janice McVeigh, as well as Indian classical music training with Nachiket Sharma. Drama has always been a part of Uttera Singh’s life. On the day she was born, her mother, nine months pregnant, was hit by a firecracker, and her father rushed her to the hospital. That’s how this real life firecracker was born. Receiving her primary education in her parents' school, she later pranced around Indore, India until she moved to NYC to pursue her undergraduate degree in Journalism and Theatre Arts from Adelphi University. Uttera studied acting at the Lee Strasberg Institute of theater and film in NYC before moving to Los Angeles in 2013 to pursue her career as an actress. While she began her career, she soon realized she wasn’t finding roles that had as much “firecracker” energy as she wanted. Faced with this challenge, she started creating those roles. She recently graduated with an MFA in Production from USC's School of Cinematic Arts. Her thesis film, Fanny Pack, has recently been accepted to NYTVF and LA Shorts Fest. Uttera spends her time between Los Angeles and India, experiencing cultures, going on new adventures and then writing about them.